Note : Children below 8 years not allowed. 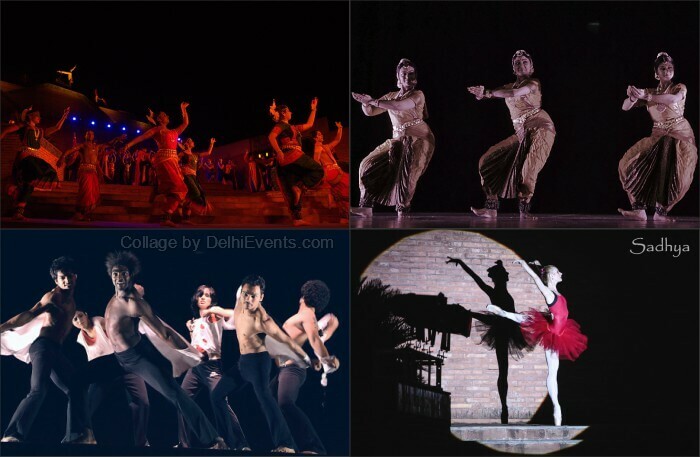 Event Description : DANCE : Sadhya Dance Group is organizing a grand show titled “No Boundaries” World Dance Day 2018 in the association with Trinity Vents. They are bringing together around 100+ artists in a unique manner. The spectrum that would be created with this would be seamless visual treat of dance styles taking audience to an enthralling journey. The event will showcase mesmerising seamless performances by Ganesa Natyalaya will be seen performing Bharatnatyam, whereas Dancework will make audience groove on Jazz. Sadhya- a unit of performing arts will perform Chhau- Contemporary followed by Guru Rajendra Gangani & group will perform Kathak, Pallavi Odissi Nritya Sangeet Vidyalaya will perform Odissi, Urshilla Dance Company will perform Contemporary, Kalalayam will perform Contemporary, Higher Vision Crew will perform Urban dance, The Backyard Groovers will perform Street Jazz & Hip Hop, Sab Rang will perform Folk dance, Puppetshala Art Group will perform Thematic Puppet act.